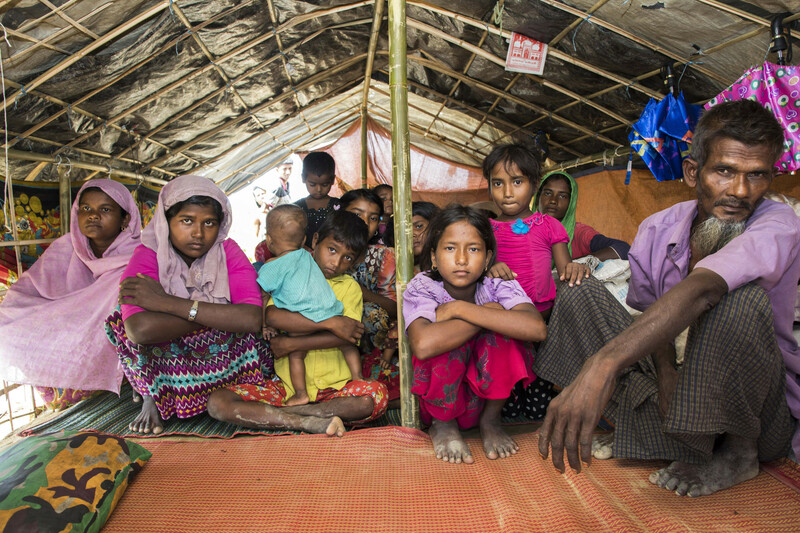 After an outbreak of violence in Rakhine State in August 2017, almost a million Rohingya people have fled Myanmar and now live in refugee camps in Cox’s Bazar in Bangladesh. The displaced population have to camp in overcrowded shelters. Adolescent girls in particular, face specific risks. Girls living in overcrowded shelters are subject to threats and violence. Noor is 11 and lives in a camp with her parents and older brother and sister. She attends mosque every morning and learns Arabic there. When she returns to her tent after her lesson, she says there is nothing for her to do. Noor’s education has been put on hold as there are no schools. Lacking WASH facilities is also a struggle for Noor and her family as they live far away from the latrine. “For all the families, there is only one latrine here. There’s no light on the way to the toilet. I’m afraid of getting bitten by a snake or the elephants will come. Armed robbers are here too. I usually go to the toilet once at night. My mother comes with me to the shower,” says Noor. According to the report, Adolescent Girls in Crisis: Voices of the Rohingya, in which Plan International interviewed 300 girls living in the refugee camps in Bangladesh, the result of long-established gender discrimination, as well as the safety concern have far-reaching consequences on their lives. Over 75% of girls interviewed report having no ability to make decisions about their lives and have little or no freedom to go outside. Most of them have no access to education (only 28% of those surveyed reported attending school of any kind) too. Rohingya girls have faith in a better future and often the energy to make this a reality. Their rights need to be acknowledged and their ideas are worth listening to and acting upon.